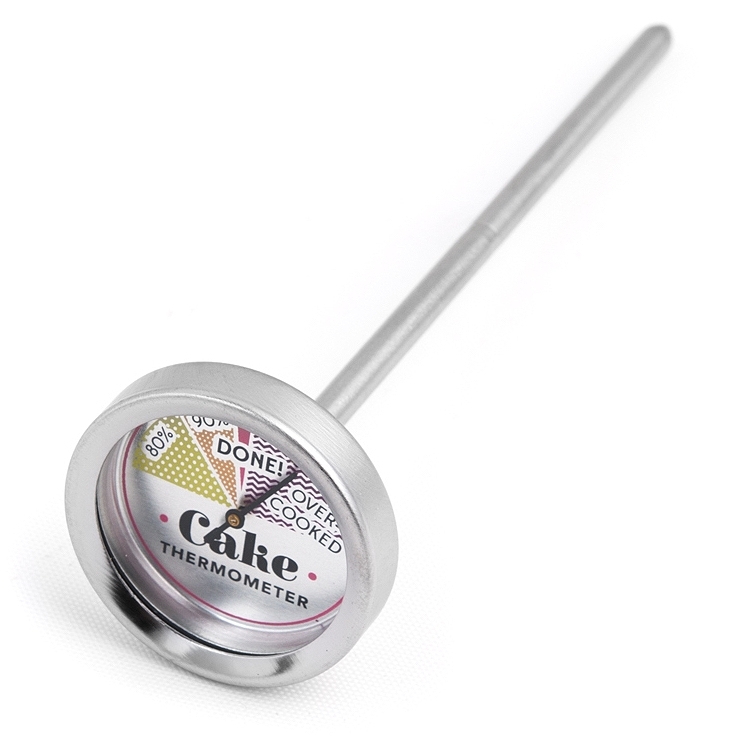 Use a Cake Thermometer for perfectly bakes cakes everytime ! 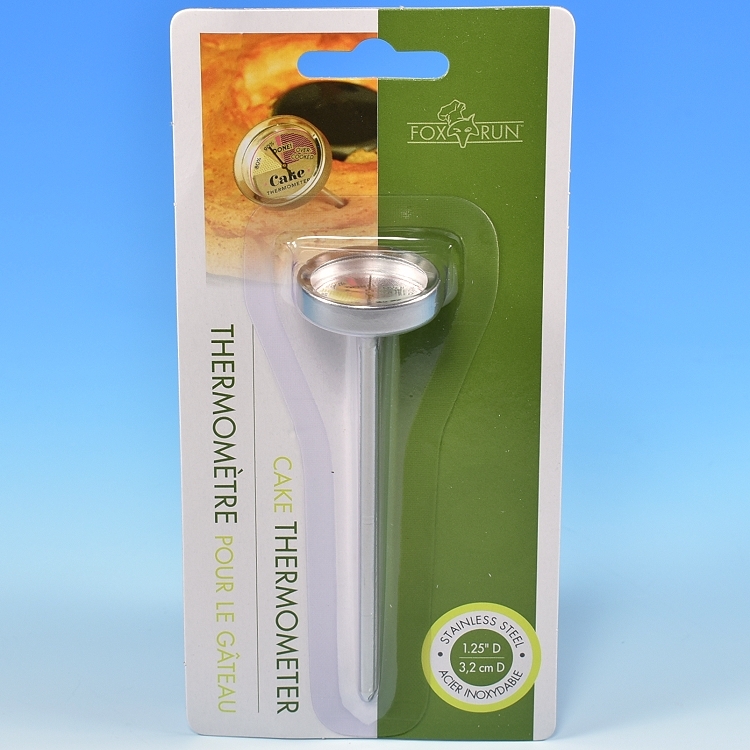 Simply insert the Cake Thermometer into the center of any cake for 15 seconds. 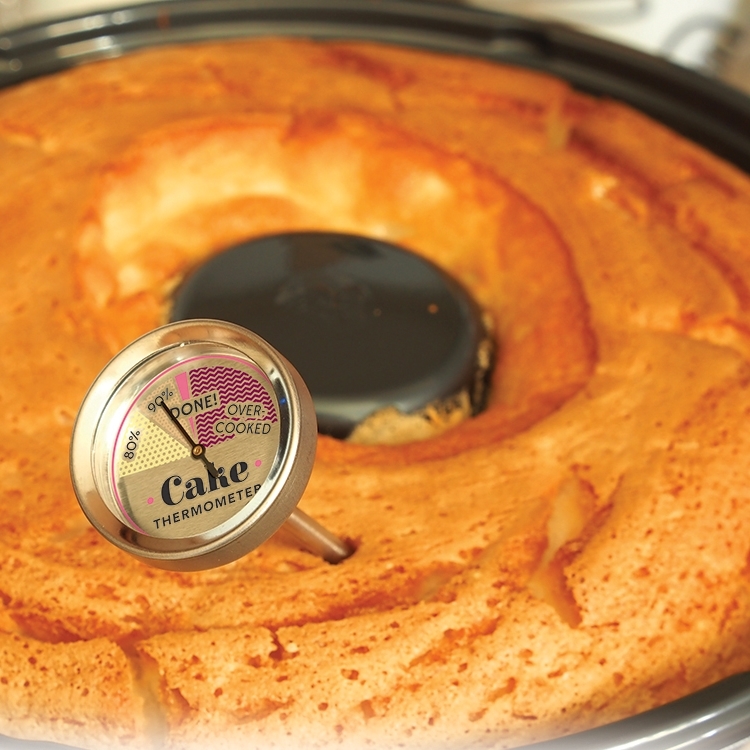 The cake is finished baking when the dial reads "Done" !